I finally made Thai yellow curry paste so I could make Thai curry anytime we wanted instead of ordering takeout. We normally order Thai yellow curry with chicken, potatoes, and carrots, but I was really wanting something with just veggies for dinner so I added green beans instead of chicken. 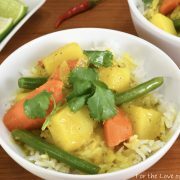 This recipe was surprisingly quick and simple to make because I had already made the yellow curry paste – perfect for a busy weeknight! The smells coming from my kitchen while this curry simmered were amazing and had us all drooling. 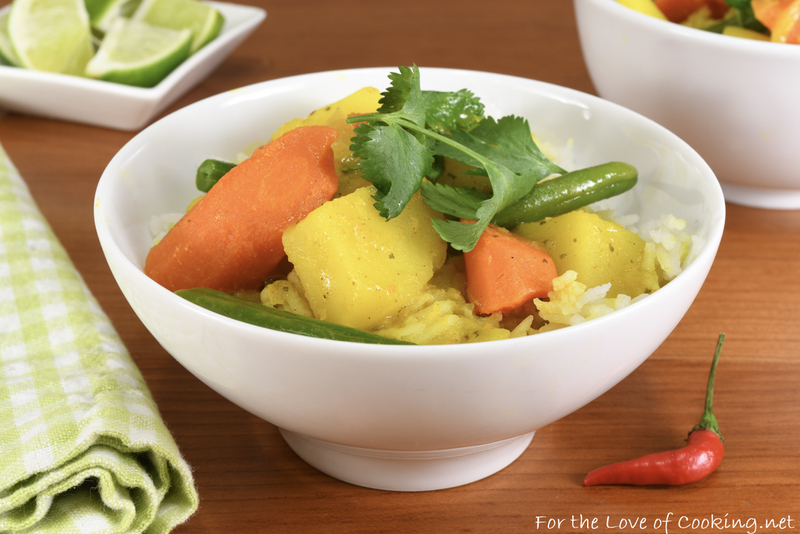 I served this spicy Thai yellow curry with potatoes, carrots, and green beans over Jasmine rice for a comforting and delicious meal that my entire family enjoyed. I had the leftovers the next day (lucky me!) and they were even better. 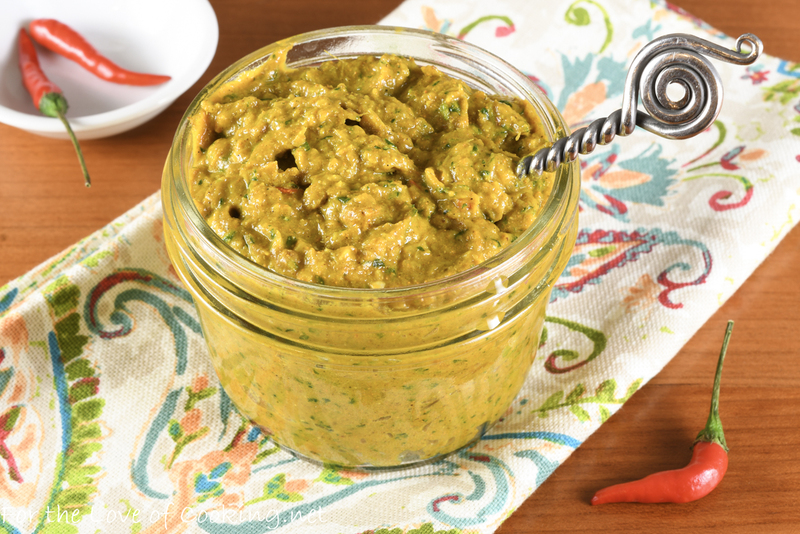 Make the Thai yellow curry paste – Click link for the recipe. Make Jasmine rice per package instructions (I used 2 cups of dry rice so we would have plenty). Heat the olive oil in a large heavy bottomed saucepan over medium high heat. Add the onion and cook, stirring often, for 2 minutes. Add the yellow curry paste, potatoes, and carrots. 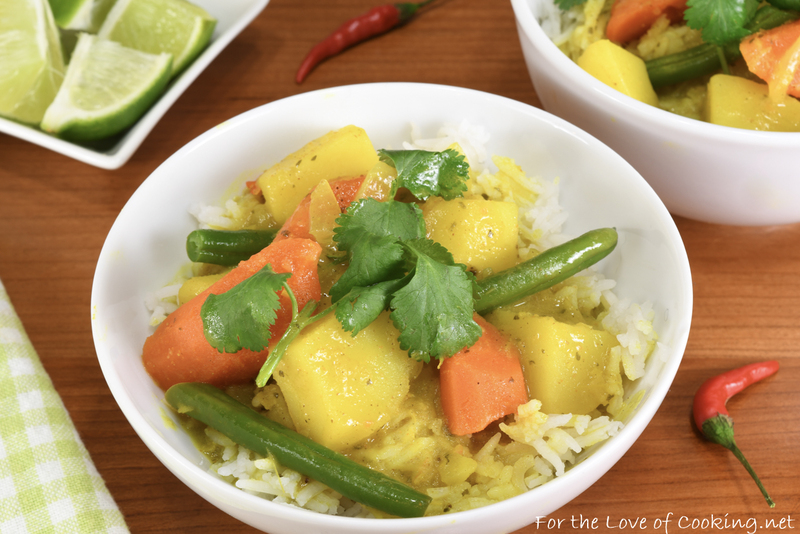 Stir to coat the vegetables evenly with the yellow curry then continue to cook, stirring often, for 2-3 minutes. Add the coconut milk, water, and fish sauce; stir. Reduce heat and simmer for 20 minutes, stirring occasionally. Add the green beans; cook for another 10 minutes, or until the veggies are tender. Taste the curry and season with brown sugar and sea salt, to taste, if needed. Serve over Jasmine rice and top with fresh cilantro leaves. Enjoy. 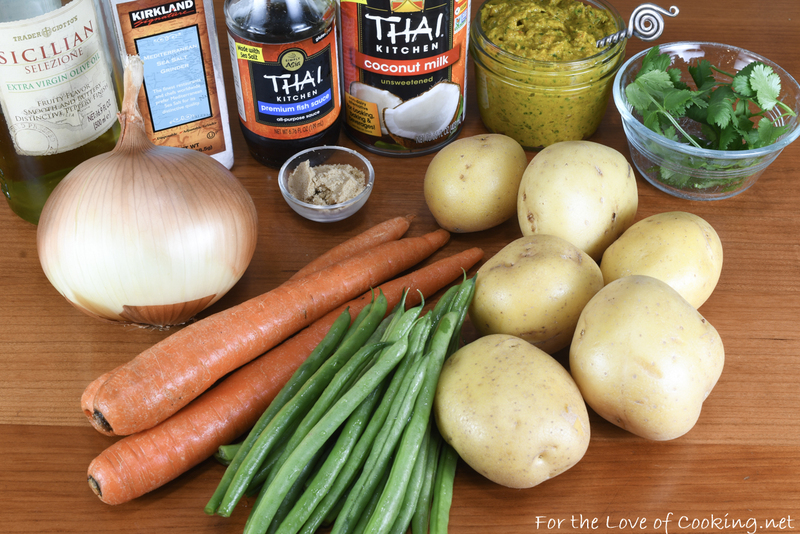 Make the Thai yellow curry paste - Click link up above for the recipe. Heat the olive oil in a large heavy bottomed saucepan over medium high heat. Add the onion and cook, stirring often, for 2 minutes. Add the yellow curry paste, potatoes, and carrots. Stir to coat the vegetables evenly with the yellow curry then continue to cook, stirring often, for 2-3 minutes. Add the coconut milk, water, and fish sauce; stir. Add the green beans; cook for another 10 minutes, or until the veggies are tender. Taste the curry and season with brown sugar and sea salt, to taste, if needed. Serve over Jasmine rice and top with fresh cilantro leaves. Enjoy. That’s a perfect meatless meal! What a delicious looking curry rice bowl you made. Looks really good. BTW had I not read about lemon grass paste in your blog, I would never have looked for it at my market. Friday, I did and there is was. Thanks for the tip. This does not belong in the vegetarian category. It has fish sauce in it. Having the curry paste ready to go definitely makes this so easy to throw together on a weeknight! Love that you kept it veggies only. Looks delicious!!!! I just made the yellow curry paste but didn’t see onion in ingredient list for dish. I will have to pick one up and finish the dish tomorrow evening. I am so sorry you have to go back to the store! I have fixed the recipe to show the onion. I hope you like the meal. Thanks Pam! No worries. I meal prepped last night and was kinda pooped after fixing 3 meals so it gave me an excuse to stop. Looking forward to this! You are my go-to food blogger for recipes now. My husband LOVES your flautas recipes. If I wanted to make this with chicken when would I add that in? Would I need to marinate the chicken before adding it? I would cut the chicken into thin bite sized pieces and add them in the last 10 minutes with the green beans. Hope this helps.